Speer was founded in 1944 by Vernon Speer, a Navy veteran with an inherent ability to come up with successful inventions. In fact, he designed a new airplane engine, and after building it, he needed to make sure it worked – so he put it in a biplane and went for a ride. Up in the clouds his new engine worked just fine, and Vernon – who was only 21 at the time – couldn’t have imagined that he was only just beginning to create his own legend. He got started in ammunition making bullets in the corner of a grocery store, and luckily for us, he expanded into manufacturing ammunition in a plant in Lewiston, Idaho, where Speer remains today. 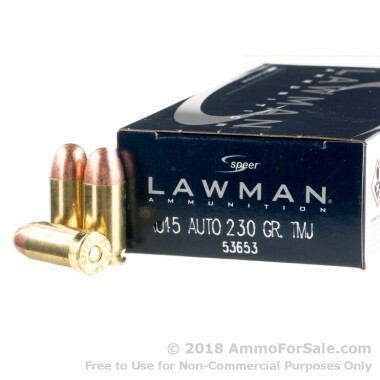 These Speer rounds aren’t just any, they’re Speer Lawman. Lawman has been around for 35 years now and is designed to specifically mimic the increased power of defense ammunition. 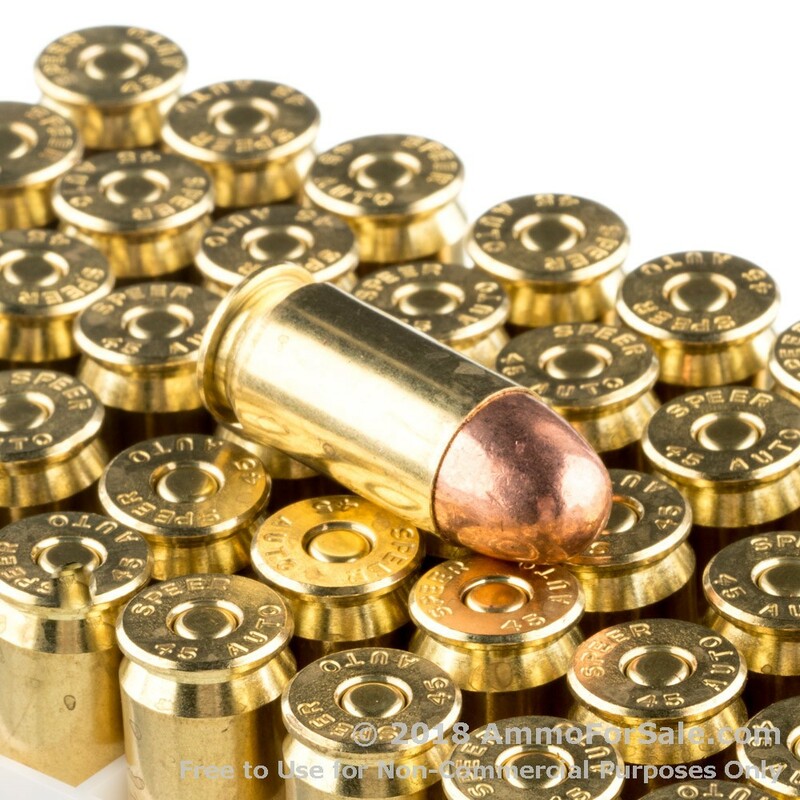 Speer uses their renowned Gold Dot defense rounds as the standard, creating Lawman in various calibers to mirror Gold Dot, only in TMJ form. As TMJ, these target rounds make training more cost-effective and more realistic, because they feel like defense rounds. These are great for self-defense training, target practice, and even plinking. And because they’re Total Metal Jacket, the bullets are completely encased, so there’s no lead going airborne when you fire your gun. 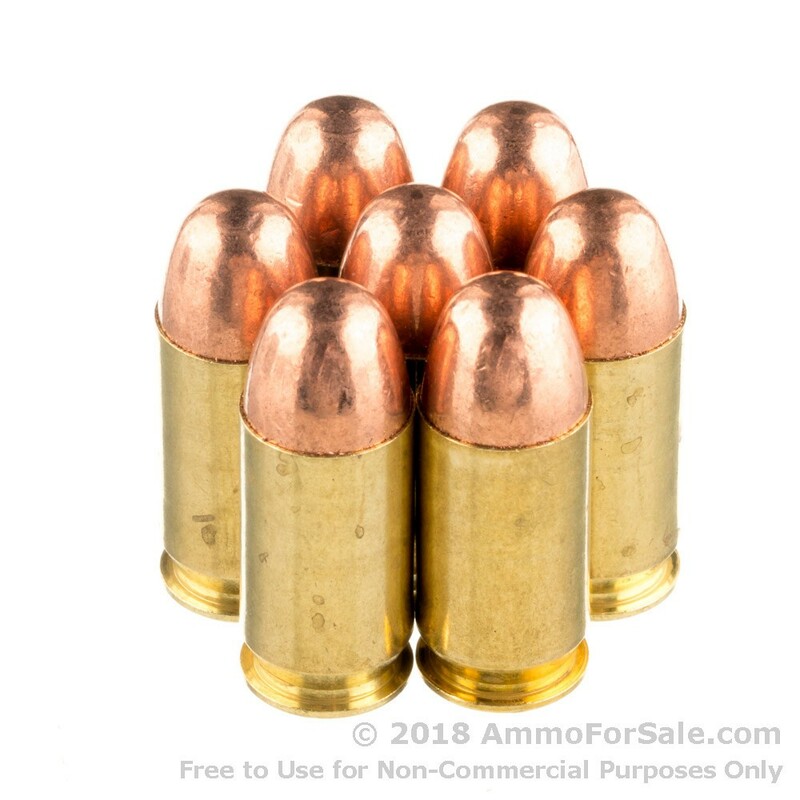 At 230 grain these are heavy rounds, so they hit harder and have more recoil than lighter rounds, and that’s precisely what you want from training rounds. Like was said, they’re TMJ rounds, so they’re meant for training. Speer produces them in fresh brass cases with boxer primer so they can be reloaded and makes them non-corrosive, so they produce less friction in your gun’s barrel. This ammunition has a muzzle velocity of 830 feet per second and muzzle energy of 352 foot-pounds. There are 50 target rounds in this box, so you might want to consider getting more than one, because it’s that good. 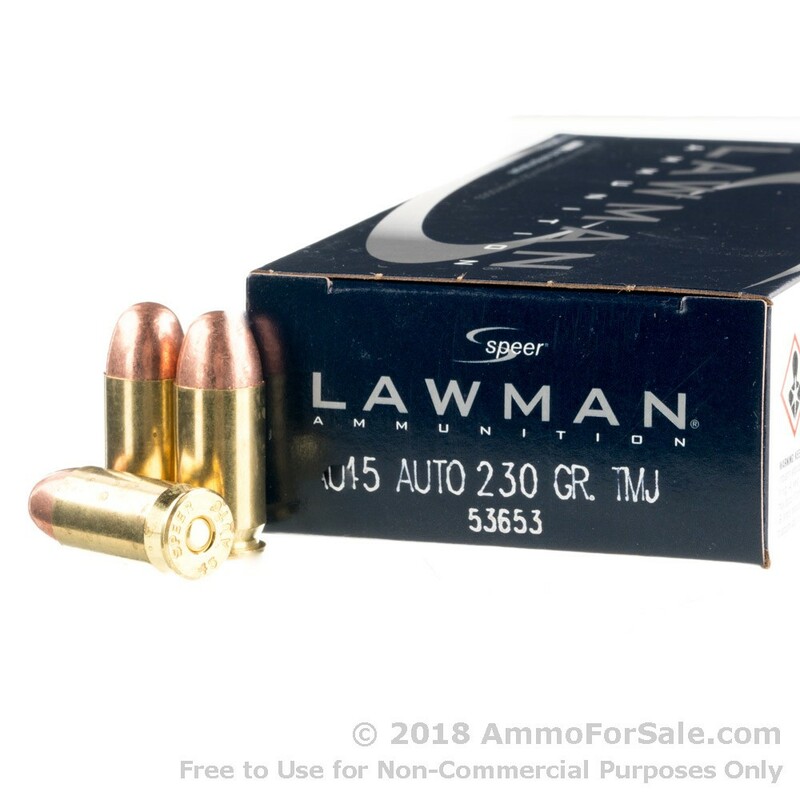 Quality is enormously important in training; get these Speer Lawman rounds and get a head start by loading your gun with quality ammunition.